This document is applicable to FoodtruckBooking.com. By law, personal data are any and all data that are related to an identified or identifiable person. Hence, the combination of name and date of birth, contact details and a passport photo are all personal data. In addition, the law refers to special personal data; these are data that are particularly sensitive and that must receive additional protection. This regards, for instance, medical or financial data. FoodtruckBooking.com collects various personal data of customers (foodtruck entrepreneurs + persons looking for a foodtruck), potential customers, employees, trainees, applicants, suppliers and website visitors, where required. These persons are hereinafter referred to as: data subjects. We record the data of data subjects at the moment of registration for services, at the moment an agreement is concluded or during other contact moments with the aforementioned data subjects. In the situation that we collect personal data without the knowledge of the data subject, the source shall be known to us. 2. For what purposes do we need personal data? 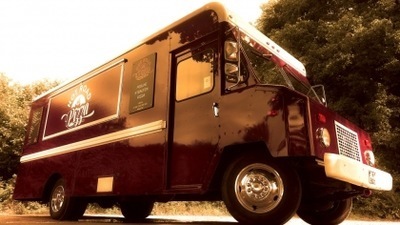 FoodtruckBooking.com needs personal data of customers (foodtruck entrepreneurs + persons looking for a foodtruck), potential customers, employees, trainees, applicants, suppliers and website visitors to properly carry out its activities. If the data are used for other purposes then we shall inform data subjects accordingly. 3. On what grounds do we process personal data? the data subject gave (express) consent to the processing of his / her personal data for one or more of the aforementioned purposes. For that matter: a data subject can always revoke his / her consent. FoodtruckBooking.com uses the collected personal data for its own business operations. This may require that personal data are shared with in-house employees and, as the occasion arises, trainees. And also with organisations that perform activities for us or with whom we cooperate, e.g. a financial service provider, foodtruck suppliers, event organisations or a cloud / software supplier. If another party or entity performs activities for us (e.g. a professional service provider or a software supplier) then a processing agreement is signed with this party. This regulates what they receive and can process data for and how they need to handle these data. In addition, official authorities or entities with a statutory task may ask us for information that we are held to share with them. 5. How do we use and protect personal data? FoodtruckBooking.com links personal data to unique codes (account number, debtor or staff number and/or complaint number) to enable communication. This is required for us to do our work. We never process more personal data than required for the activities. We never disclose personal data of data subjects and other relations without consent. Personal data are retained as indicated below. We observe the statutory retention periods. After that we destroy or retain these personal data in a manner that they can no longer be traced back to a person. We only do this for statistical or trend research. The data are removed from the current system after the last contact with the registered party (after termination of the account). The data can then be retained in an archive registration. When the retention period (7 years) has expired then the relevant personal data shall be destroyed from the archive registration, and the latter within a period of 1 year. These are retained as long as data are required for the purpose for which they were collected or are used. When the retention period has expired the relevant personal data shall be destroyed from the archive registration, and the latter within a period of 1 year. This has been set for the archiving of data according to a statutory retention period. After a period of 7 years after the last contact with the registered party, the archive registration is destroyed. By placing cookies we can have our websites work properly and analyse the behaviour of our anonymised website visitors. In addition, external parties place cookies via our websites; hence, advertisements that are in line with the interests of website visitors can, inter alia, be shown. Consent is requested for the placing of cookies. We and our suppliers take all necessary technical and organisational security measures that are required to prevent abuse of and unauthorised access to personal data. Should something nonetheless go wrong the we shall, where required, inform the data subject(s). 6. What rights do data subjects have? Every data subject is entitled, free of charge, to insight into, correction, supplementation, deletion of his / her personal data as also to be forgotten and to object to the processing of his / her personal data. A request to exercise these rights is answered within four weeks. Should this not be possible then we inform the requesting party within 4 weeks of the reason of the delay and the final date of answering. If a request for insight is submitted then the requesting party receives a complete overview of the processed data, the origin of the data, the recipients of the data and the purpose of the processing of the data. Personal work annotations and notes for internal use. Personal data of third parties, e.g. a complaint, are not provided. Personal data that are used within the framework of the prevention, detection and prosecution of punishable facts and other instances as intended in article 10 of the General Data Protection Regulation. Before a request for insight or objection is handled, the data subject must have identified himself / herself. This can be done by visiting the office and presenting an ID card or passport (the original!). If the data subject is under 16 or is not legally authorised to act then the request must be submitted by the statutory representative. Correction of personal data is only honoured if the data are incorrect, incomplete for the purpose for which the data are collected or if they are irrelevant or are processed in violation of the law. If the request for correction is honoured then FoodtruckBooking.com shall implement the changes as soon as possible. We shall also communicate a potential change to third parties to whom these data were disclosed in the past, unless the said communication is impossible or requires an unreasonable effort. We then proceed with deletion as soon as possible. Data are deleted if it is, for instance, clear that the personal data are no longer required for the purposes for which they were collected or otherwise processed or if the data subject revokes his / her consent and there is no other foundation for the processing. We also delete personal data if the data subject lodged a well-founded objection to the processing, if the personal data were processed unlawfully or to comply with a statutory obligation that is vested in us or if the personal data were collected in connection with a direct offer of internet services. In certain circumstances the data subject is entitled to ‘be forgotten’. This right follows on from the right to have data deleted. It regards situations where FoodtruckBooking.com disclosed personal data of the data subject (e.g. by placing them online) and the data subject requested deletion of the data. Apart from the deletion of the data from our own systems we take reasonable technical and organisational measures to inform other controllers who process the personal data of the fact that the data subject wants to be forgotten. This means that each and every link to and copy or reproduction of the data must be deleted. The right to deletion and the right to be forgotten apply to anyone. Sometimes the data subject is entitled to request that personal data are not being processed for a while. The limitation of the processing is, for instance, relevant during the period required to check personal data on correctness or in the event that FoodtruckBooking.com no longer needs the personal data for processing purposes but the data subject needs these data for the institution, exercising or substantiation of a legal claim. Before we cancel the limitation the data subject is informed in order that a complaint can be submitted to the Dutch Data Protection Authority or a legal claim can be filed in a timely fashion. The right to portability only applies to data that are processed by us automatically on the basis of the following foundations: “the unambiguous or express consent of the data subject” or “the necessity for the implementation of the agreement”. We make every effort to develop data formats that facilitate the portability of data and hence facilitate the right to portability. A data subject can rely on his / her right to object in three situations. First of all, on account of personal circumstances against processing operations that are based on the foundations: “necessary for the performance of a task in the public interest or public authority” or a justified interest of FoodtruckBooking.com. We shall then discontinue the processing, unless there are compelling, justified grounds on the basis of which our interest outweighs the interest of the data subject in discontinuation of the processing. Secondly, the data subject can object to the processing of his / her personal data in view of direct marketing. We always honour this objection. Thirdly, the data subject can object to the processing of his / her data for scientific or historical research or for statistical purposes on the basis of reasons specifically related to his / her situation. We honour this objection, unless the processing is necessary for the performance of a task in the public interest. Every data subject is entitled to submit a complaint to the Dutch Data Protection Authority if the data subject is of the opinion that FoodtruckBooking.com does not comply with the General Data Protection Regulation. See https://autoriteitpersoonsgegevens.nl. It is also possible to address the court; the claim shall then be based on an unlawful act. We hope that matters shall not reach that stage and we shall always try to comply with our obligations before this. When visiting and organising matters via our websites we ask consent to record personal data. When someone completes a contact form on one of our websites, or sends us an email, then the data are retained as long as required for the complete answering and handling of the question. The personal data that are supplied to us through these websites are processed by us according to this privacy statement. Cookies are small text files that remember your preferences when surfing and are stored on your computer. Some cookies are temporary and are deleted as soon as you close your browser. Other cookies are permanent and stay on your computer for a longer period of time. Cookies cannot collect information from documents stored on your computer. You can also click on the following links for extensive instructions.